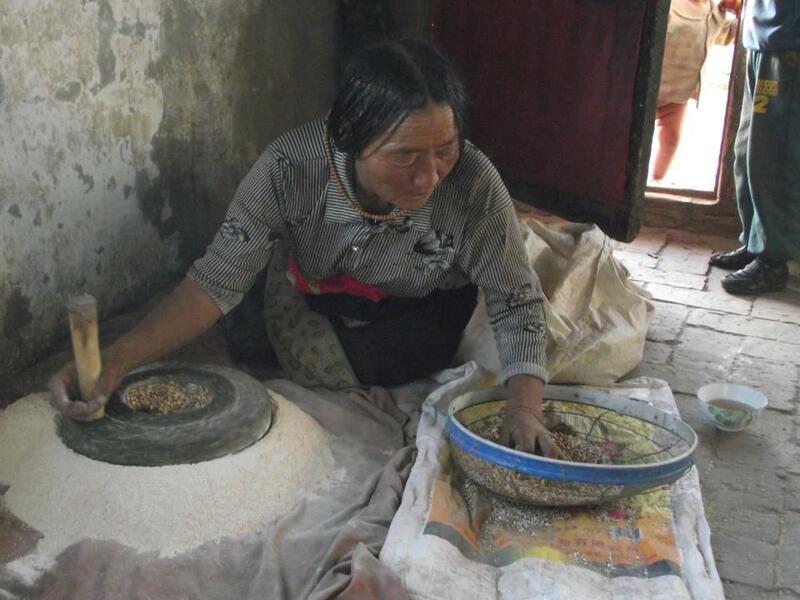 A staple food among Tibetans is roasted barley flour, or tsampa. The flour is mixed with hot water or black tea and shaped into small balls that are eaten. Tsampa is also widely used during rituals for making offering cakes, called torma. Posted on February 7, 2014, in Tibetan Culture & History, Uncategorized and tagged Tibetan culture, Tibetan traditions. Bookmark the permalink. Leave a comment.